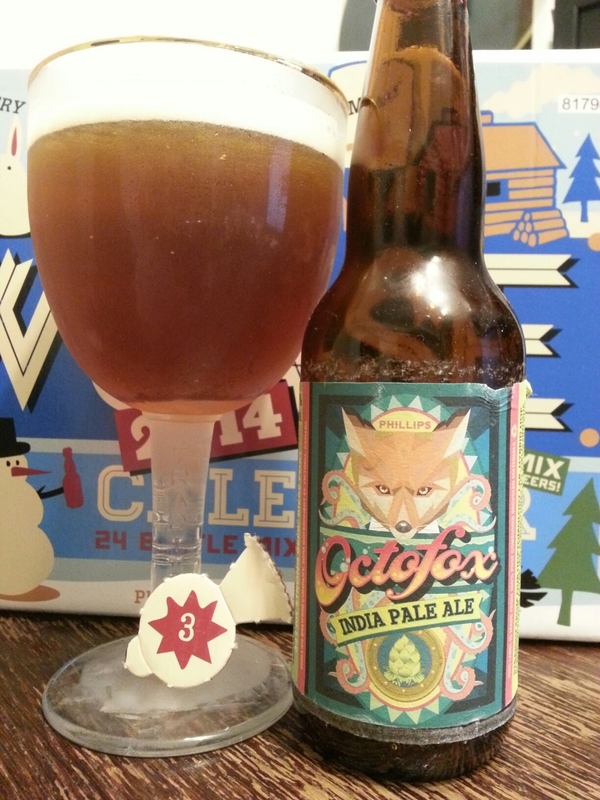 Phillips Snowcase 2014 Calendar Day #3 – Octofox India Pale Ale | Justintoxicated. Visual: Pours translucent golden brown with a smallish dissipating head, a fine micro-layer of retention, light fine-sticky lacing, several slow-spread out streams. Finish: citrusy bitter hopped finish. Summary: Very citrusy, moreso than usual bitter hopped IPAs. Malts carries through to the finish. 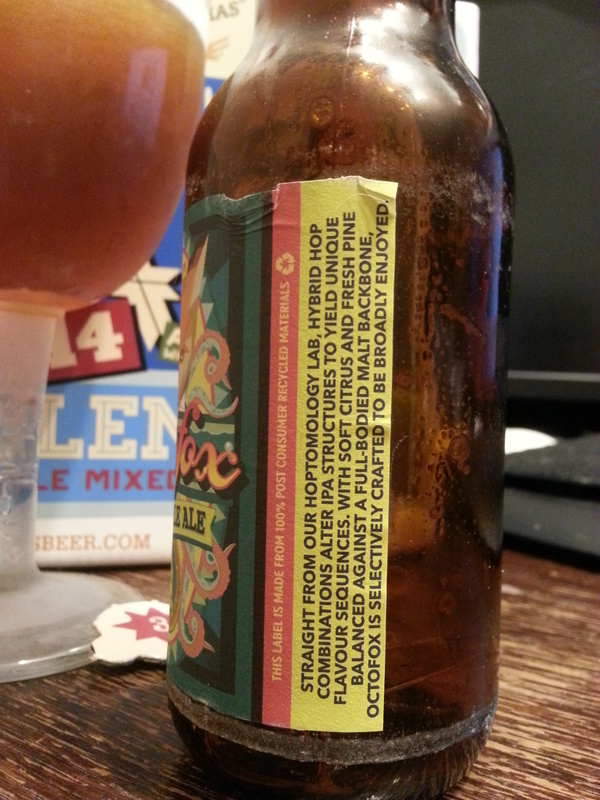 Not particularly fascinating but quite drinkable.